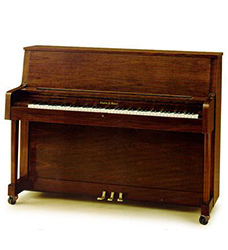 It is the only surviving American family-owned piano dynasty left in North America. 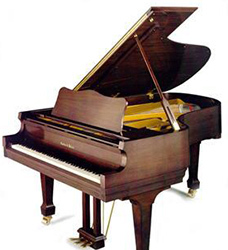 Protective of the Walter family reputation, no piano leaves the piano works before it is given final inspection and hand-signed by a managing family member. 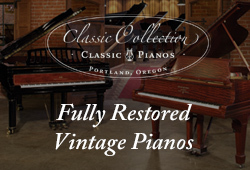 At its inception, only certified piano guild technicians were allowed to represent Charles R. Walter pianos. 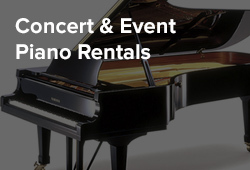 Today the Walter family appoints select dealerships in principal markets that meet their strict requirements for regulation, preparation, showcasing, marketing, selling, moving, and servicing Charles R. Walter pianos. 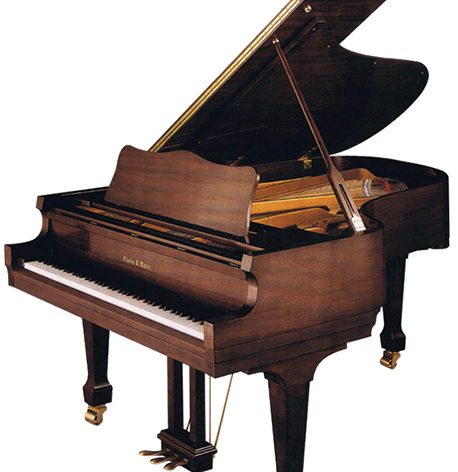 Walter Piano craftsmanship is guaranteed by a Twelve Year Full Warranty. 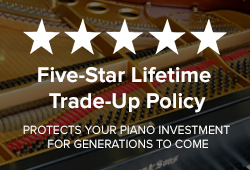 This warranty is transferable to subsequent owners and covers not only parts, but also labor, the most expensive part of any piano repair. 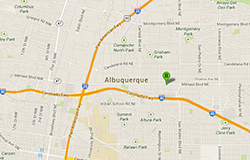 PianoWerkes of Albuquerque is proud of its association with this premier American piano maker of outstanding console, studio, and grand pianos. 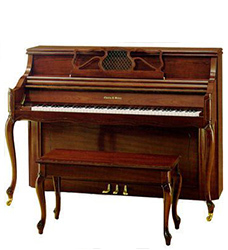 Click the images below to learn more about each type or piano.